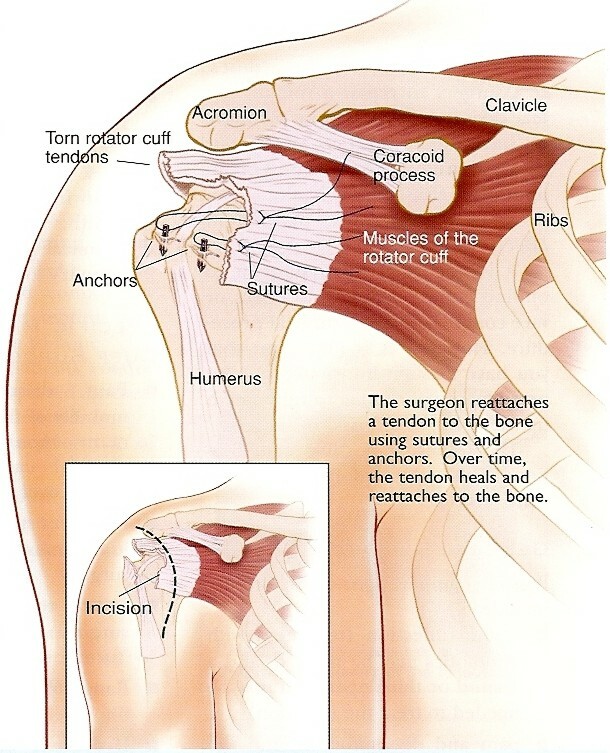 One of the most common injuries of the shoulder occurs to the rotator cuff tendons. 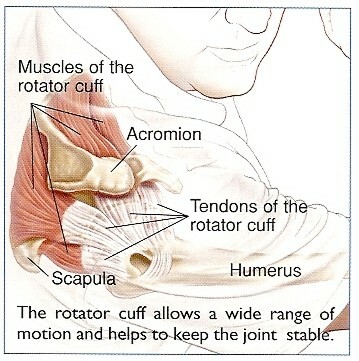 The rotator cuff tendons are important keeping the shoulder joint stable and allowing flexibility of the arm and shoulder. It is composed of four tendons that connect the shoulder blade (scapula) to the upper arm bone (humerus). 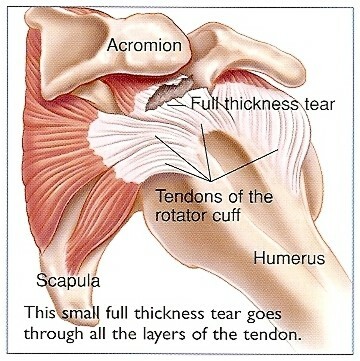 Rotator cuff tears are more common in patients older than 40 years of age and they can cause shoulder weakness and pain. They can also occur in younger patients following sudden major trauma. Small holes are drilled in the prepared area of bone. Strong stitches are placed in the end of the torn tendon and then looped through the holes to anchor the tendon to the bone. Small, strong anchors, with sutures attached, are fixed into the bone. These suture anchors are made of metal, plastic or a synthetic material. The stitches are then passed through the torn end of the tendon and tied down to the anchors. Following your surgery you will need to refrain from doing any activities with your shoulder so that the tendons can heal to bone. 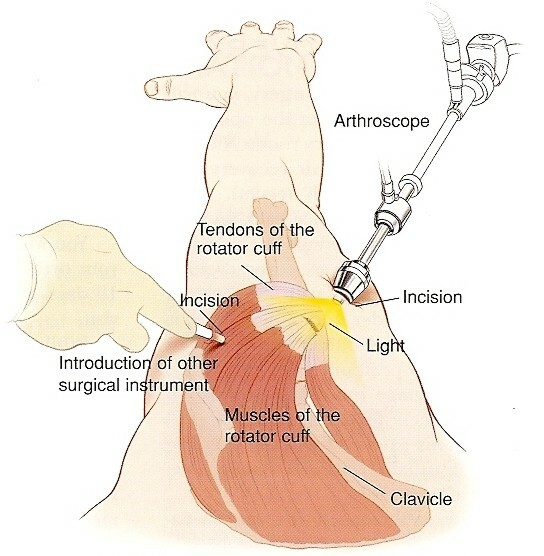 You will also follow a rehabilitation protocol to improve your shoulder movement and muscle strength.